Cow-wheats fall into two categories in our reckoning - either rather boring looking little flowers or wildly exotic . 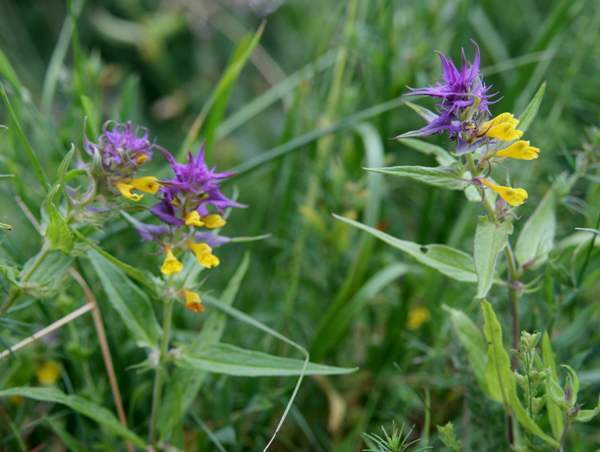 This cow-wheat, with its bright blue and yellow flowers, can be found in the grasslands of the Vitosha Mountains National Park in Bulgaria and most definitely falls into the latter category. This member of the Orobanchaceae family wasn't a common find during our visit to Bulgaria, but it was a most welcome one. 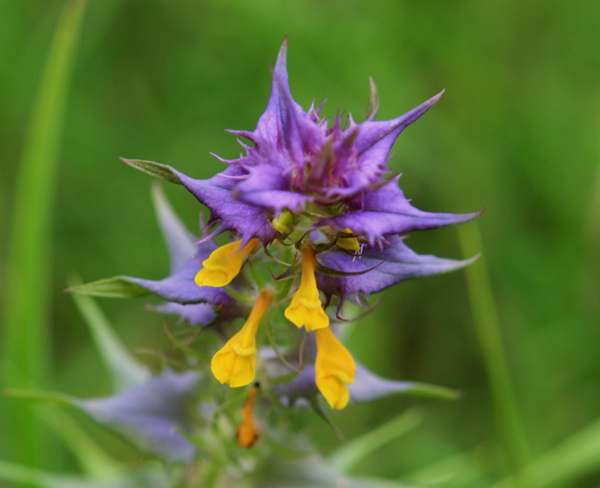 Hungarian Cow-wheat is found in unimproved grassland, where it blooms from late May until the end of June. Melampyrum, the genus name, comes from the Greek words melas- meaning black, and -pyros meaning wheat. It is a reference to the fact that if seeds of a Melampyrum species are included with wheat or other grain that is ground up into bread-making flour then the resulting bread becomes discoloured (blackened). The origin of the specific epithet scardicum is unknown to us. Cow-wheats are so named because of their wheat-like seeds. The specimen shown here was photographed in Bulgaria in mid June.